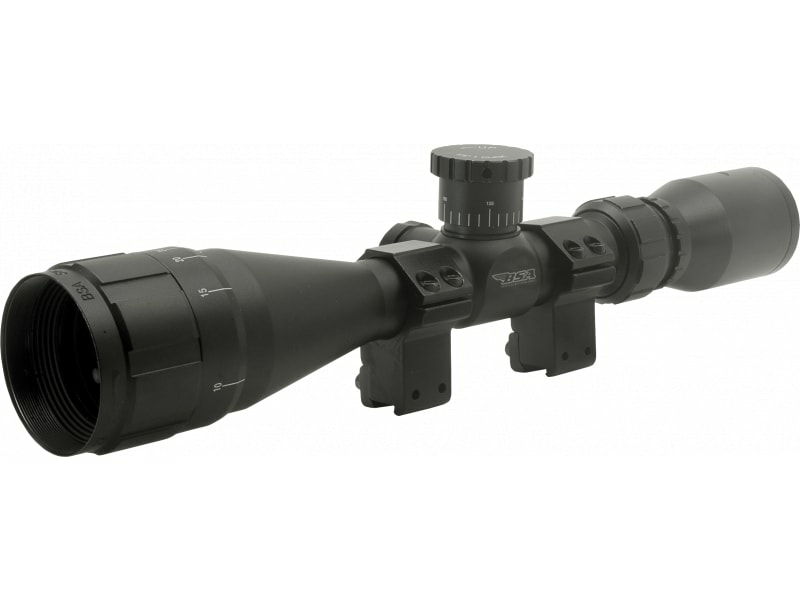 BSA 22412X40AO: The BSA Sweet scopes use trajectory compensation technology that was originally designed for military sniper. They feature a quick change turret system specially calibrated for multiple grain weights for the calibers: .17HMR, .22LR, .223, .243, .270. The BSA Sweet 22 AO Compact is designed for the Ruger 10/22 and other small-frame .22 rifles. It features a long eye relief for comfortable viewing, an adjustable objective, as well as the preferred 30/30 reticle. It comes standard with 2pc dovetail rings and fully coated anti-reflective lenses all in a one-piece aluminum housing.